NBFA uses emotionally responsive practices to address students’ wellbeing and behavior, as well as to manage conflicts. Here you can read about the techniques and practices we use to address student behavior and school climate. At NBFA, smiles are the norm! Here, three happy friends smile in the breakout room, a gathering space. The central hypothesis of restorative practice is that human beings are happier, more cooperative, productive, and more likely to make positive changes in their behavior when those in positions of authority do things with them, rather than to them. The aim of this approach is to develop community and manage conflict by repairing harm and restoring relationships. 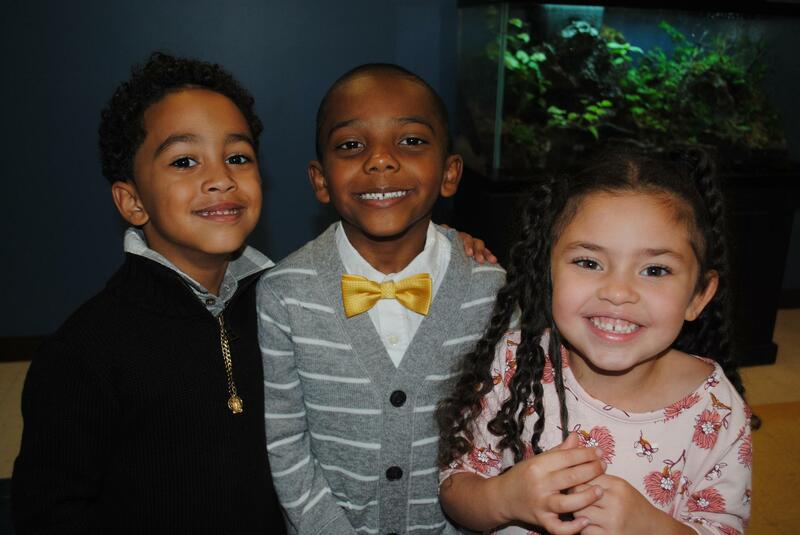 At NBFA, we use knowledge about children’s developmental milestones (the motor, cognitive, and social skills that most children achieve by certain ages) to inform our teaching practice. We also understand that development and experience work together, and that every child is unique. Sometimes, when children bring unresolved developmental stages into the classroom, teachers may serve as attachment partners for delayed milestones. Inviting techniques encourage self-expression within safe and consistent classroom practices. These strategies inform the way we set up classrooms’ physical environments, curriculum, routines, procedures and daily interactions. Inviting techniques, when combined with reflective listening, are especially helpful in stimulating communication around difficult issues. This is a process that all teachers at NBFA engage in throughout the year. The most intense story gathering phase takes place in September, when teachers are first getting familiar with students and their backgrounds. As the year progresses, staff members continue working with each student and adding to his/her story. Story gathering enhances teachers’ ability to facilitate student development. It helps teachers assess children who display confusing behaviors in different ways. Reflective Techniques help children improve communication and develop empathy by mirroring the feelings, concerns, and experiences of others in a way that makes them feel understood. Reflective language can be used in social interaction, books, drawings, photos, songs, and throughout the curriculum as a way to enhance children’s sense of social and emotional cause and effect.